Jo and Sam both work on the Organisation Development (OD) section of a large local authority and their work involves submitting proposals for OD to projects to the Senior Management Team for approval. Jo believes that Senior Management do not support new ideas. She backs this up by explaining that her budget submission for this year was turned down flat and that this particularly upset her given that her previous year’s budget had been approved. She goes on to point out that in the last six months six out of ten project inception proposals had been declined. She feels that senior management are just too conservative and tend to reject anything new. Sam believes that Senior Management are supportive of new ideas. To illustrate this he points out that although his budget for this year was turned down, last year’s submission, which was far more radical, was approved. He says that four out of every ten project inception proposals are approved and that many of the ones rejected should never have been submitted in the first place. In Sam’s view the Senior Management team are very conservative and so need a compelling case to support a new idea. Same roles, same circumstances, same management team, but utterly polarised beliefs about them. Believing the senior management team to be unsupportive Jo is likely to work on her budgets without any real enthusiasm and to do only what is necessary on her reports knowing they’ll probably be rejected anyway. Believing the senior management team to be supportive, Sam is likely to produce a highly detailed budget submission and to make sure his reports show a strong supporting case for his suggestions. Jo is likely to be turned down, Sam is likely to be supported, adding further supporting evidence to each of their beliefs. The reinforcement of beliefs is further strengthened by an area of our brains known as the Reticular Activating System (RAS). Our RAS is a filtering system that prevents us being overloaded by the huge array of stimuli that assail our senses every day. Have you ever noticed that if you see a car with an unusual colour that you suddenly seem to see them everywhere? This is your RAS at work. Cars of that colour were always there but your RAS has now been alerted to notice them. In our story above, Jo’s RAS will provide lots of supporting evidence to reinforce her belief about the senior team. Her brain will filter out anything that runs contrary. Sam’s on the other hand will do the opposite, providing proof that the team are supportive and confirming his beliefs. The message for coaches is a simple one. If you uncover a limiting belief, challenge the evidence. Offer an alternative point of view and encourage your coachees to widen their perspective and to consider other points of view. You may not take away limiting beliefs overnight, but you can certainly loosen their hold. 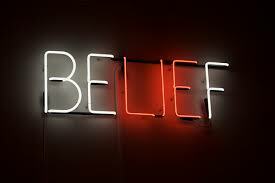 There is much talk in self-help and business improvement literature about beliefs. There is also much talk about vision and values, culture and ethos and much blurring at the edges of them all. So, let me firstly be clear about what I mean when I talk about beliefs. It is those things you hold to be ‘true’. For example, ‘the purpose of business is to make money’. I attended a seminar recently and the first speaker clearly held this particular belief. At one point, he said that he defied anybody to claim that they were in business for any reason other than making money. A hand went up and a young man explained that no, for him business was about providing opportunities for people and building something from scratch. This was particularly galling and embarrassing for the first speaker as the young man was due to speak next and was clearly not ‘on message’. Some of you might believe some of these statements to be ‘true’ for you, and you might be right. Beliefs can never be proved as ‘right’ or ‘wrong’ or they’d be facts and not beliefs. Our role as coaches is not to agree or disagree with such statement of belief; rather it is our job to encourage deeper thought and challenge the assumptions on which such beliefs are often founded. We can see that these questions would encourage our coachee to think in greater detail about why they believe they would be in trouble and to consider whether to risk it. None of our questions are judgemental and so we are unlikely to get into an argument over who’s right and who’s wrong. 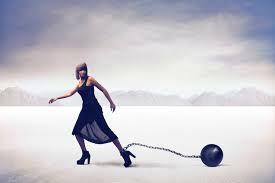 Simply inviting the people we coach to re-consider the basis of their limiting beliefs is often enough to leave them feeling mobilised to do something despite them. Other times, when the belief is deep rooted, it may be necessary to explore further and to consider how such beliefs come to be formed. Many of you will be reading this on your first day back at work after a break for Christmas and the New Year. It’s a time for New Year’s resolutions and other plans and I would like to suggest that you add “coaching people” to your list if it’s not already part and parcel of what you do. We can see coaching as a task or an event; something that needs to be planned and scheduled. There is nothing inherently wrong with this and much good coaching takes place in just this sort of context but to limit coaching to just these formal exchanges is to minimise its usefulness. There are dozens or work place conversations that naturally lend themselves to the coaching approach and which require no more time than we’d spend having them anyway. Getting ready for an important meeting by chatting in the lift, trying to learn a few important lessons from that last sales pitch as we walk back to the car or any number of other situations can all be enhanced ay adding a few choice coaching questions and thinking hard on the answers. 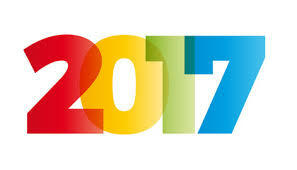 I hope you can find ways to make coaching part of your work this year and wish you every success in the coming months.